At Cal Poly we believe that academic freedom, a cornerstone value, is exercised best when there is understanding and respect for our diversity of experiences, identities, and world views. Consequently, we create learning environments that allow for meaningful development of self-awareness, knowledge, and skills alongside attention to others who may have experiences, worldviews, and values that are different from our own. In so doing, we encourage our students, faculty, and staff to seek out opportunities to engage with others who are both similar and different from them, thereby increasing their capacity for knowledge, empathy, and conscious participation in local and global communities. In the spirit of educational equity, and in acknowledgement of the significant ways in which a university education can transform the lives of individuals and communities, we strive to increase the diversity at Cal Poly. 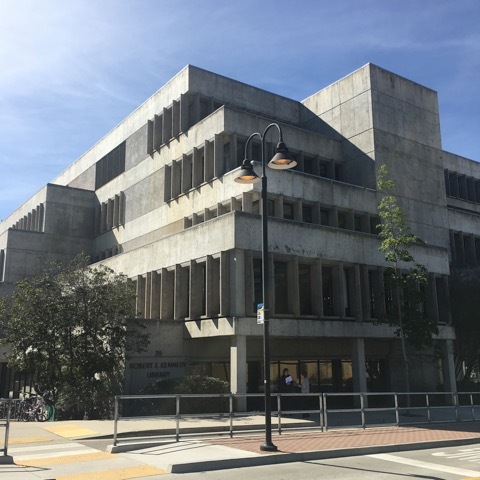 As an institution that serves the state of California within a global context, we support the recruitment, retention, and success of talented students, faculty, and staff from across all societies, including people who are from historically and societally marginalized and underrepresented groups. Cal Poly is an inclusive community that embraces differences in people and thoughts. By being open to new ideas and showing respect for diverse points of view, we support a climate that allows all students, faculty, and staff to feel valued, which in turn facilitates the recruitment and retention of a diverse campus population. We are a culturally invested university whose members take personal responsibility for fostering excellence in our own and others’ endeavors. To this end, we support an increased awareness and understanding of how one’s own identity facets (such as race, ethnicity, gender, sexual orientation, religion, age, disability, social class, and nation of origin) and the combinations of these identities and experiences that may accompany them can affect our different worldviews.